Useful ingredients of tarragon is a perennial herbaceous plant with stems. Forms a short underground stems – rhizomes, thick individual roots of 1-2 cm. The stem is branched, upright or semi-upright and in flower reaches a height of two meters. Tarragon leaves are lance-linear, green, light green and whitish green color, and the colors were collected in round inflorescences – baskets. They are small, whitish, colorless or yellowish. The seeds of tarragon are tan or brown, egg-shaped, small, with a length of 0.6 mm, and their qualities are retained 3-4 years. Cultural tarragon originated in Mongolia and southern Siberia. There is also a wild tarragon, but it has less flavor and aroma. The fresh leaves and twigs of tarragon are suitable as a condiment for salads, appetizers and various sauces. Dried and fresh twigs are used in canneries in canning tomatoes, cucumbers, for making mustard infusions and tarragon. According to some opinions tarragon it is very suitable for seasoning soups and dishes from birds, fish and mushrooms, although these products Tharos imparts flavor. The leaves of tarragon are rich in vitamins and essential oil. They also contain calcium, magnesium, potassium, phosphorus, iron and ash. Exact quantities in tarragon are 0.80% essential oil (60-75% estragole), flavonoids, glycosides, inulin, vitamins and others. In folk medicine used as a diuretic. The essential oil is used as a spice in perfumery and spice liqueur. Tarragon is one of the most popular spices that are unique and specific flavor. Also known as Tharos, the Latin name of tarragon is Artemisia dracunculus L. Tarragon is one of the most important spices in European cuisine, spread two types of plant – French and Russian tarragon. Tarragon is widely used in cooking, it is very suitable supplement in the preparation of certain types of fish dishes, as well as any egg dishes, especially omelet. Tarragon suits in the preparation of jelly jelly and other salty dishes. Tarragon suits and in the preparation of salad dressing, rice dishes, and the pots as they estragonat enhances the taste of cheese and meat. Tarragon can add to and steamed vegetables in butter. Tharos is an excellent spice and Mediterranean cuisine, cooked pasta and pasta and sauce them acquire pleasant and specific taste and aroma. It is important to know that tarragon is frost-hardy plant. Quality yields of foliage are obtained only when provided optimum moisture and nutrients in the soil, although tolerate temporary drought. The soil should be clean of weeds. It is best developed on deep structural and permeable soils. Tarragon is propagated vegetatively by dividing the roots or shoots. Roots were removed and divided into parts so that each have 2-3 buds. Separated parts of tarragon planted about 30 cm in rows so that the buds are at the level of the soil surface. Later sown between the lines tarragon are shaped grooves whose purpose is irrigation during the summer months. 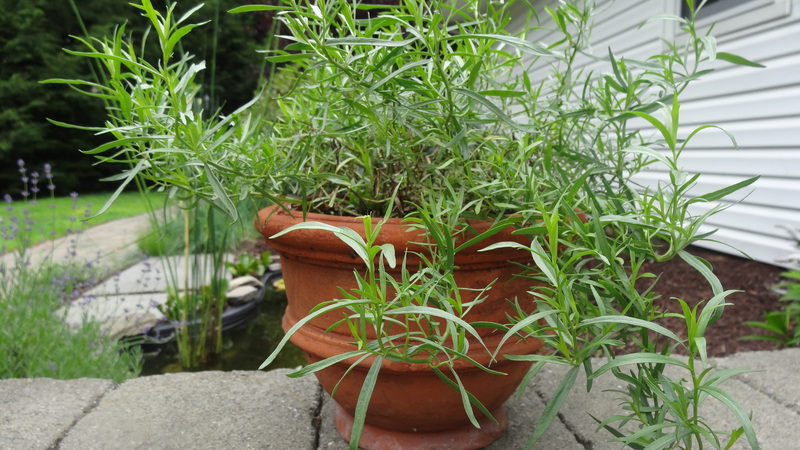 When planting larger areas of tarragon, it is preferable to use cuttings. For this purpose, in June or July are cut aboveground stems and are making cuttings with a length of 10-15 cm. They rank in furrows of 5-6 cm depth and distance between the furrows 5-6 cm between cuttings – 4-5 cm. It is good rooting of tarragon be carried out in greenhouses, in order to maintain optimum humidity Toropochvena mixture, and the air temperature does not exceed 18-20 degrees. Cuttings of tarragon in such conditions strike for 10-15 days. 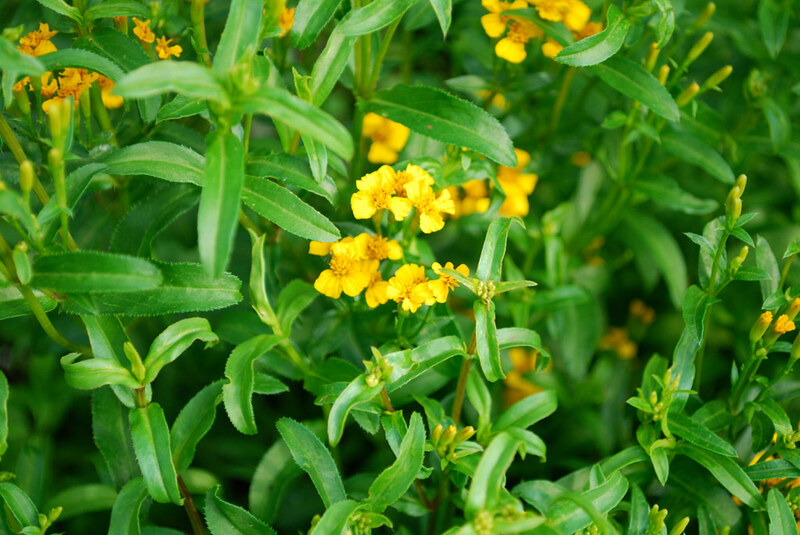 From a bush tarragon aged 3-4 years may be prepared around the cutting or bushes 50-60 can be divided into 100 shoots. Tarragon is dried in shaded and ventilated area.